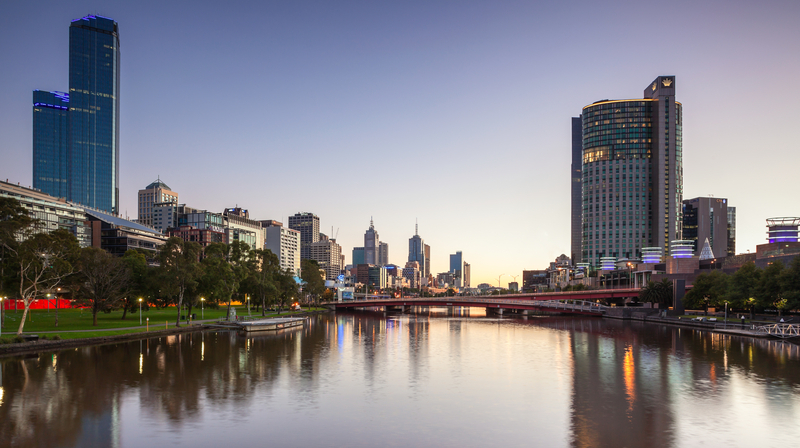 While other cities in Australia may be better known or more popular among tourists, Adelaide is growing and becoming a more popular spot for travelers. Known as the “City of Churches,” Adelaide is the capital of South Australia and the largest city in the otherwise sparsely populated state. Like many major cities, Adelaide proper has plenty to offer visitors and locals alike. With the Adelaide Zoo, several museums and a number of parks and historical sites, there’s enough to do and see to fill any visitor’s itinerary. However, there’s even more to see outside of the city. Within a short drive of your Adelaide accommodation, you can experience everything from world-class wineries to up-close encounters with native wildlife. Just about a half hour from Adelaide’s city centre, the Adelaide Hills wine region is home to more than two dozen wine cellars, ranging from small, family-run vineyards to large corporate wine producers. This is one of the largest and most diverse winemaking regions of Australia, meaning you’ll find everything from light sparkling wines to dense, flavourful cabernets. The Adelaide Hills Wine Region organisation offers several itineraries for visitors to explore and experience specific types of wine on their own. If you aren’t much for going out on your own, you can join one of the wine tours that leave from Adelaide each day. A 45-minute ferry ride from the mainland, Kangaroo Island is an unspoiled natural paradise. With several national parks and conservation areas, this is the place to catch a glimpse of native wildlife, including koalas and kangaroos. In addition to the extraordinary living creatures, you’ll want to make a point to visit the Remarkable Rocks, a conglomeration of large rocks aptly named for their peculiar shapes. Visiting Kangaroo Island requires a bit of preparation to visit, as you either need to bring your car on the ferry or join an organised tour. The island does not offer public transportation, nor can you rent cars when you arrive. If you do head to the island, though, make a stop at Flinders Arch National Park, where you can get fairly close to New Zealand Fur Seals in their natural habitat, or catch a glimpse of a platypus out for a stroll. If you don’t manage to see any animals in the wild, head to Parndana Wildlife Park where you can feed kangaroos right from your hand. If Kangaroo Island is a little farther than you’d like to go, head 20 minutes out of town to the Cleland Wildlife Park where you can wander among the animals in their natural habitats. From here, it’s also an easy trek to Mt. Lofty, where you can take in spectacular views of Adelaide from the summit. About 90 minutes from Adelaide, the small town of Victor Harbor is popular with locals on the weekends. Easily explored on foot, the town itself is lined with shops and cafes, but the real attractions are Granite Island and, from May to October, the whale watching off the shore. Granite Island is accessible via a bridge (cross on foot or by horse-drawn tram); you walk the entire perimeter of the island in less than an hour, taking in view of sea cliffs, rock formations and fields of wildflowers. During the winter months, it’s common to see right whales from the shore during their migration. Ninety minutes west of Adelaide, Yorke Peninsula is similar to Victor Harbor, but less driven by tourism. The peninsula has more than 700 km of coastline ripe for exploration; you won’t see it all in one day, but you can still explore some of the small towns, museums, and historical sites and dine on fresh seafood in one of the hundreds of restaurants and cafes. If you’d rather be on the water than lookat it from a distance, rent a kayak and spend the day paddling the Port River. Several hundred bottlenose dolphins call the river home, and you can also explore mangroves and spot shipwrecks from your kayak. From wildlife to wine, there is plenty to do in the area surrounding Adelaide. Don’t forget to add some time for exploring the areas outside of the city, which might wind up being some of the most exciting and memorable hours of your holiday. About the Author: Adelaide native Marina Douglas loves showing visitors her hometown. She covers local events and activities for her blog and is working on a novel set in turn-of-the-century Australia. 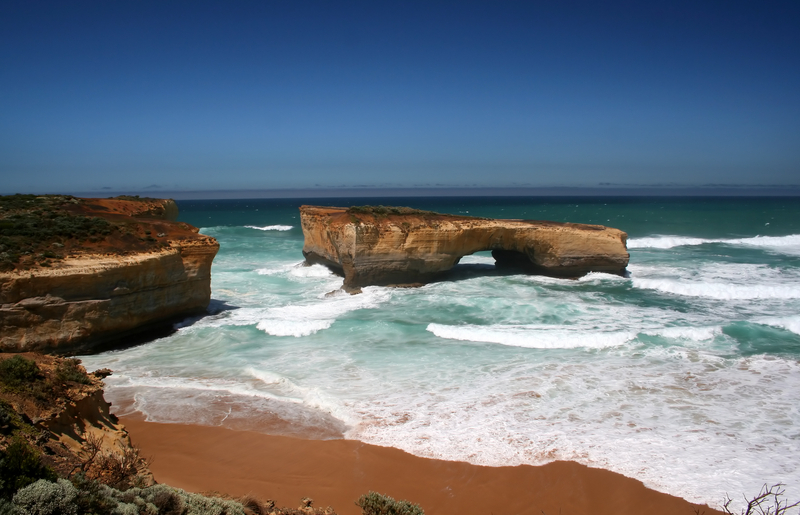 Australia is a beautiful continent with plenty to do for travelers visiting from all over the world. 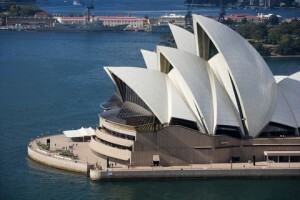 Whether it is going to one of the many cultural events in the city of Sydney or taking a swim in the Great Barrier Reef, Australia has many events and attractions that will keep any traveler busy. Not all travelers want to simply enjoy the beauty of Australia and may want to experience different kinds of fun in a social type of setting. Australia is home to 17 of the world’s finest casinos with each offering a great gaming opportunity for visitors and Australians as well. One of the best casinos in Australia is found in Sydney, the Star City Casino. The Star City Casino has more than 1,500 slot machines and game tables and is one of the largest casinos in Australia. For those with a lot of money to spend or the high rollers, the Endeavor Room offers a great party atmosphere and premium gaming that guarantees an enjoyable time. With its private suites, luxury rooms and fine dining, the Star City Casino is one of the favorite casinos around for serious gamblers. For those visiting the Hobart area in Tasmania, Wrest Point Hotel Casino is a great place to gamble. The casino offers over 650 slot machines and 20 gaming tables that give all gamblers the chance to win money. Over 300 jackpots are won every month here, giving casual and professional gamblers both a chance to win big. One of the nice features about the Wrest Point Casino is that they have an area dedicated to non-smokers. This allows those hoping to have fun in a cleaner environment to do so. This gorgeous casino is both fun and esthetically pleasing for everyone. Another great casino in Australia is the Sky City Adelaide, located inside the city of Adelaide. The Sky City casino is one people go to for big wins with plenty of cash and car jackpots on various slot machines. The casino has over 800 slot machines and plenty of craps and blackjack tables. The Sky City Adelaide holds poker tournaments on a regular basis as well. If you are planning a visit to Australia and looking for some fun gambling, visiting one of the casinos above will guarantee you a lot of fun and entertainment. If you are looking to sharpen your gambling skills before your trip to Australia check out Lucky Nugget. 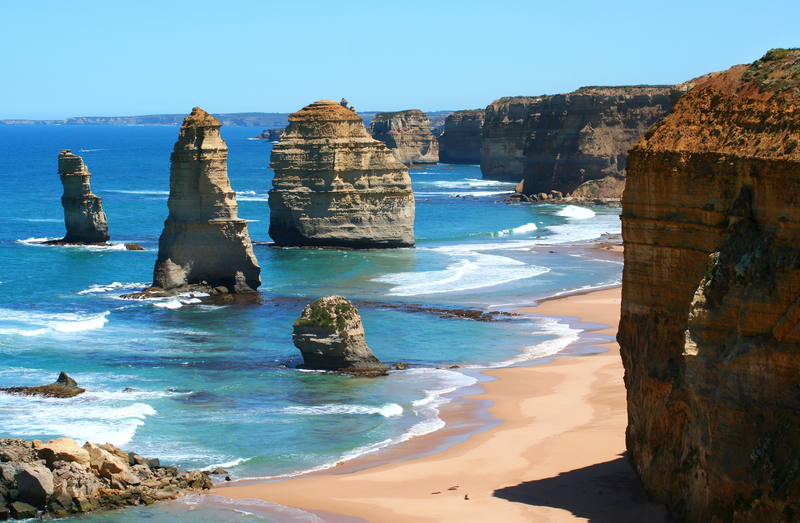 Pack your bag and find Australia has more to offer the traveler than just great beaches. Located on Whitsunday Island in Queensland Australia, Whitehaven Beach streaches for 4 miles. 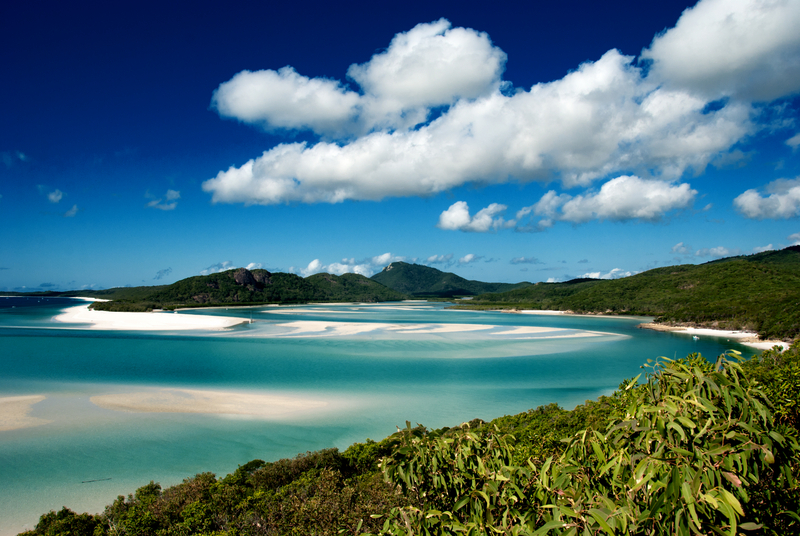 Whitehaven Beach is known as Queenslands cleanest beach. 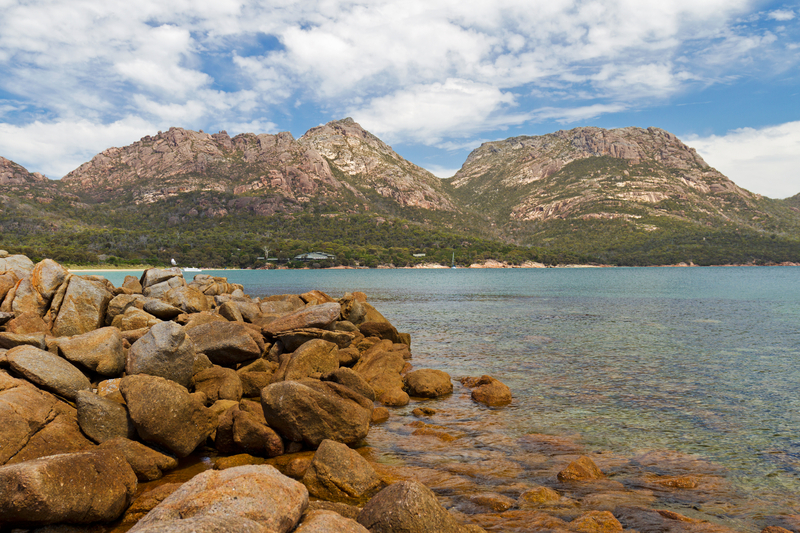 Tasmania is referred to as the "natural state" the "island of inspiration" and a "world apart" rather than a "world away." Tasmania deserves those accolades as it boasts the cleanest air in the world and the rainwater is so pure that it is captured and bottled. Read more…. 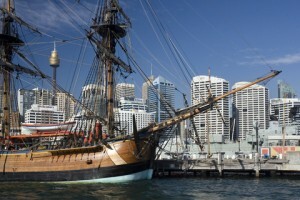 Sydney, Australia boasts a plethora of excellent places to dine, and the city is known for its fresh seafood, seasonal vegetables, and top-notch chefs that aspire to create an international reputation for themselves. The surplus of immigrants that call Sydney home, have brought their cuisine with them, and Asian and Mediterranean influences are common in eating establishments within the city, and this fusion of cuisines with the local fare, is regarded as modern Australian food. 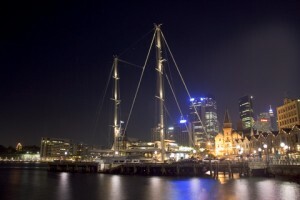 This fusion style eatery is located in the overseas passenger terminal, and boasts fantastic views of the famous Sydney Opera House, offers innovative cuisine, and features a hip cocktail lounge in the mezzanine upstairs. Their offering of harissa, which is a spiced lamb with feta and ratatouille, is a house specialty. Prawns and scallops are also prepared to perfection here, and ornately garnished for a classy presentation. Service here is excellent and meticulous, but the prices are reasonable. For a unique dining experience, consider trying Govindas, which is conveniently located in the Kings Cross area of Sydney Oz. This Hare Krishna restaurant features their world famous, all you can eat vegetarian buffet. The food is quite inexpensive, but it also comes with an additional selling point, which is a free movie that can be viewed upstairs from the dining area. For the best authentic traditional Australian cuisine, Edna’s Table is the place to go. This family owned establishment offers the fare one might expect while visiting this country, such as crocodile, kangaroo, and native seafood selections. The restaurant is housed in a lovely refurbished historic building, and it is conveniently located near Town Hall. This seafood establishment is housed in an old converted warehouse, and offers excellent views of the Sydney Harbour. Outdoor seating is available, but fills up quickly, because of the awesome views it affords. 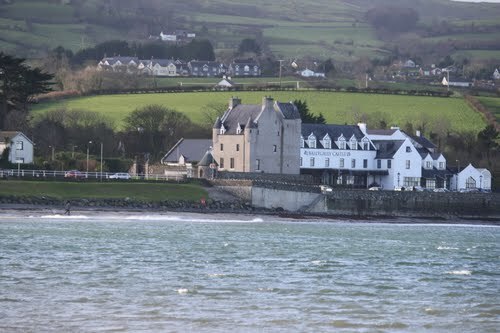 If it comes from the sea, it is probably on the menu at the Waterfront Restaurant, and they are known amongst the locals as one of the finest eateries in town for great seafood and perfectly aged steaks. The Gamnut Café is located near The Rocks in Sydney, and is a prime example of modern Australian cuisine. Housed in a cottage that dates to the 1890s, this establishment offers seating both indoors and out, and giant umbrellas protect diners from the harsh sunshine in the summer. The food menu is interesting, and contains fare of English, Turkish, and other persuasions combined with traditional Australian offerings. They also offer hearty breakfast dishes to fuel up before a day of sightseeing. This Italian eatery operates cafeteria style, and offers meals for breakfast, lunch, and dinner. Its location near Circular Quay, make it an ideal place to people watch, and features outdoor seating during times of good weather. The fare is typical Italian, and is often served in huge portions, which are perfect for sharing. Regardless of which dining establishment visitors choose, Eating in Sidney will offer travelers a variety of choices they are guaranteed to have a great experience. Do not forget, to indulge in the excellent wines that Australia is noted for while eating out, and many places in Sydney accommodate bring your own policies. For more eating places to chose check out My Destination Sydney. Have you traveled to Sydney? Visited other parts of Australia? Do you have any advice or recommendations for our readers?